What is a Bracket Challenge? 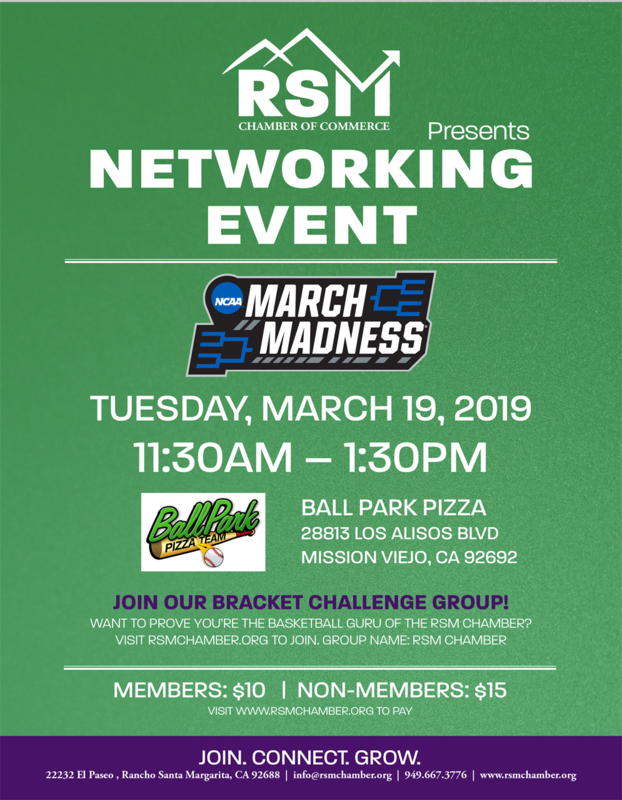 Want to prove you’re the basketball guru of the RSM Chamber? The NCAA Division I men’s basketball tournament starts with a bracket of 64 teams. Before the games begin, you can try your hand at predicting the winner for each one of the 63 games. Your methodology is entirely up to you, whether that's taking a deep dive into the statistics, flipping a coin, or having your dog make picks for you. Then, sit back and watch the madness unfold as you revel in victory, or witness your bracket get busted before the first weekend. As the games progress, you’ll get points for every winner you picked correctly. Those points increase every round, and at the end of the tournament, the player with the most points wins! You can sign up for the RSM Chamber Bracket Challenge Game here. You'll be notified when the game goes live in March. You can sign up for the Bracket Challenge Game right now. Visit this site and enter your email. You’ll receive an email reminder at all important dates, including as soon as brackets go live in March. On this day, the selection committee will reveal the 68 teams that made the tournament’s field and the final bracket. Once that is announced, brackets will open up for picking for the first time. The first games of the tournament’s first round will start on this day. At 12:00 p.m. ET, right before the first games tip off, bracket picking will lock, and you won’t be able to change any picks in your bracket for the remainder of the tournament. Don’t get caught with an incomplete bracket before then. The national championship game will be played this night. Once it is over, the tournament will be complete, and the scores for the bracket challenge game will be final.